Buy a Festival Pass to experience it all! 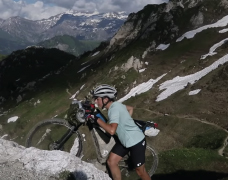 The 17th Annual Filmed by Bike features the world’s best bike movies. This year’s festival is our most ambitious collection of films to date. We are bringing to the stage and screen the voices of people who are often left out of positions of prominence and celebration within the bicycle arena.This is a powerful collection of hard-to-find films from all over the world.